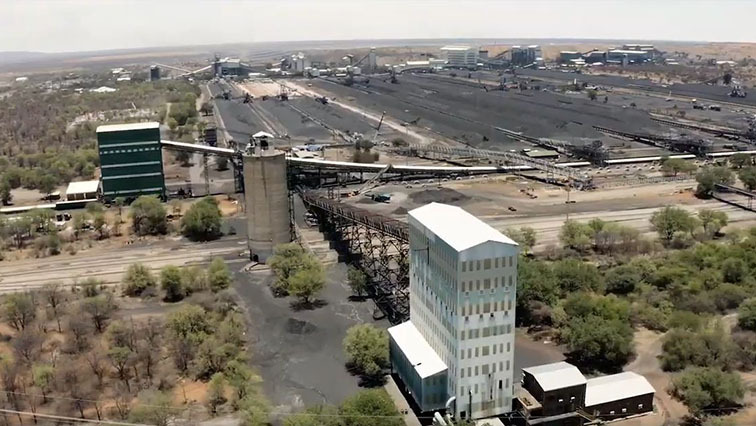 SA activists in mining areas harassed: Report - SABC News - Breaking news, special reports, world, business, sport coverage of all South African current events. Africa's news leader. Community activists in mining areas in South Africa face harassment, intimidation and violence. This is contained in a joint report and video released by the Centre for Environmental Rights, groundWork, Earthjustice, and Human Rights Watch on Tuesday at the Constitutional Hill in Johannesburg. The attacks and harassment have created an atmosphere of fear for community members who mobilize to raise concerns about damage to their livelihoods from the serious environmental and health risks of mining and coal-fired power plants. The 74-page report “‘We Know Our Lives Are in Danger’: Environment of Fear in South Africa’s Mining-Affected Communities” and video cites activists’ reports of intimidation, violence, damage to property, use of excessive force during peaceful protests, and arbitrary arrest for their activities in highlighting the negative impacts of mining projects on their communities. Municipalities often impose barriers to protest on organisers that have no legal basis. Government officials have failed to adequately investigate allegations of abuse, and some mining companies resort to frivolous lawsuits and social media campaigns to further curb opposition to their projects. The groups says government has a constitutional obligation to protect activists. “In communities across South Africa, the rights of activists to peacefully organise to protect their livelihoods and the environment from the harm of mining are under threat,” says Attorney at the Centre for Environmental Rights, Matome Kapa. “South African authorities should address the environmental and health concerns related to mining, instead of harassing the activists voicing these concerns, ” adds Kapa. The Centre for Environmental Rights, groundWork, Earthjustice, and Human Rights Watch documented the targeting of community rights defenders in KwaZulu-Natal, Limpopo, Northwest, and Eastern Cape provinces between 2013 and 2018. The groups conducted interviews with more than 100 activists, community leaders, environmental groups, lawyers representing activists, police, and municipal officials. Researchers also wrote to the relevant government agencies and to many of the mining companies in the research areas. Four out of 11 companies responded. Community members in mining areas have experienced threats, physical attacks, or damage to their property that they believe is a consequence of their activism. They described being assaulted, intimidated, threatened, and their property damaged. “We know our lives are in danger,” one activist from KwaZulu Natal said. “This is part of the struggle.” Women often play a leading role in voicing these concerns, making them potential targets for harassment and attacks. In one high profile case in Xolobeni, Eastern Cape province, Sikhosiphi “Bazooka” Rhadebe was killed at his home in March 2016. He and other community members had raised concerns about displacement and destruction of the environment from a titanium mine proposed by the Australian company Transworld Energy and Mineral Resources. No suspects have been arrested in connection with the killing. However many of the attacks go unreported or unnoticed, in part because of fear of retaliation for speaking out, and because police sometimes do not investigate the attacks, the groups found. “South African authorities and companies should ensure zero tolerance toward threats and abuses against rights defenders in mining-affected communities,” says environment researcher at Human Rights Watch, Katharina Rall. Municipalities infringed on citizen’s rights to freedom of assembly, imposing extra-legal requirements for protests, despite constitutional guarantees established in South African law. In other cases, it was companies themselves that requested community activists notify them of their upcoming protests, wrongfully claiming that this was a legal requirement. Some companies have used the courts to harass activists by asking for financial penalties, seeking court orders to prevent protests, or filing vexatious lawsuits. These meritless lawsuits – known as “Strategic lawsuits against public participation,” or SLAPPs – are a growing trend globally that South Africa could tackle by adopting new legislation. SLAPPs can silence activists by hitting them with the cost and burden of mounting a legal defense. Companies have also used social media campaigns to harass activists and organisations who are challenging them, inflicting an emotional and reputational toll on defenders. The groups also found a pattern of police misconduct during peaceful protests in mining-affected communities, including violently dispersing demonstrations or arbitrarily arresting and detaining protesters. South African police have also injured peaceful protesters with teargas and rubber bullets. “These patterns of police violence and company tactics combine to create an environment of fear for community rights defenders and environmental justice groups in South Africa,” says Robby Mokgalaka, Coal Campaign manager at groundWork. This entry was posted on 16 Apr 2019,11:09AM at 11:09 AM and is filed under Sci-tech, Homepage Latest Stories Slider. You can follow any responses to this entry through the RSS 2.0 feed. Both comments and pings are currently closed.